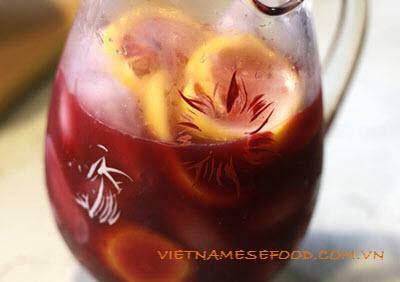 Beginning new day with one Mixture Lemon with Pomegranate Juice (Nước Ép Lựu và Chanh) from many healthy Vietnamese Recipes is great. 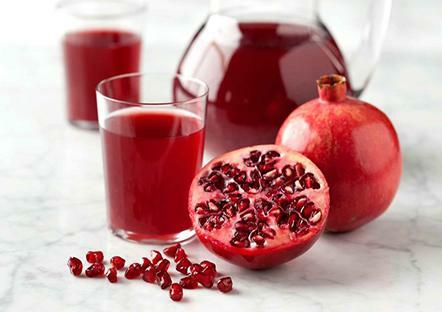 The sweetness from pomegranate and the sourness from lemon will create a spectacular feeling when drinking together. Moreover, this food will bring many benefits for your health. 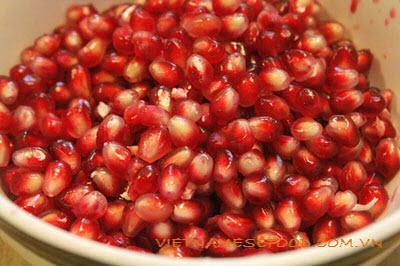 Pomegranate contains polyphenol content which can help to reduce the high blood pressure disease. It also helps to bring a beautiful skin for your body and face. Step 1: Peel off the cover pomegranate, only uses the seeds. Step 2: Clean lemon/lime and slice thinly. 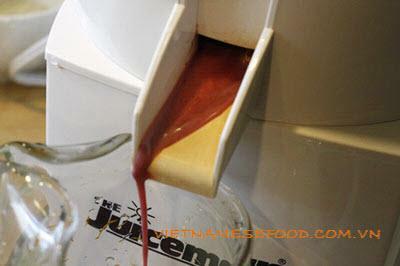 Step 3: Pour pomegranate seeds into pressing fruit machine to get juice from it. Step 4: Pour pomegranate juice into glass pot, add some sliced lemon/lime into. You can add more sugar if you want. 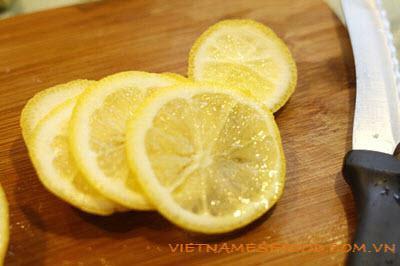 But in my opinion, here is one of healthy Vietnamese Recipes, so you do not need to add sugar. The sweetness from pomegranate is enough. Finally, you already finished one of delicious Vietnamese Recipes. When serving, add more ice into glass. Do you love it? It is better when drinking in freaking hot days like these days. Hope you love it and do not miss our next Vietnamese Recipes tomorrow. Enjoy your last day at work and school because tomorrow is weekend. Have a nice day and Good Luck for your Cooking.